In the month of May the weather at The Magnolia Company farm continues to warm up. 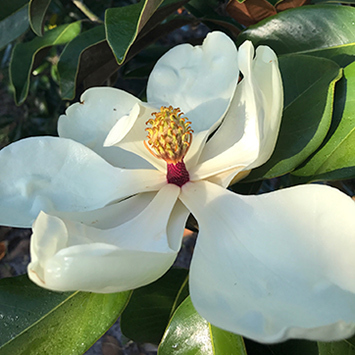 This increasing spring temperature makes everyone happy because each day we are greeted with a bounty of clear, bright magnolia blooms. 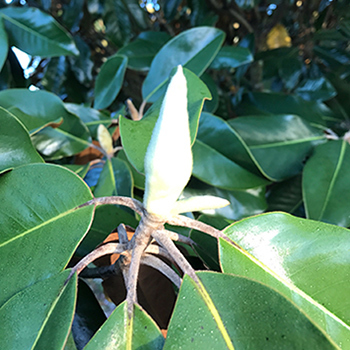 We even see these magnolia blooms present on all of the magnolia gift trees sold from our farm. These large saucer shaped flowers have the most brilliant, creamy, white appearance and fill the air with a wonderful clean, fresh, lemon like scent. Pictured above is a flower that will soon be filled with honey bees! Another special spring event our manicured trees experience each year is the growth of a new crop of leaves. I am always amazed at how many leaves are pressed into these plump shoots at the end of each branch. Some of the branch ends are extra thick and will push out a tremendous flush of foliage. We will sometimes see three feet of growth off of one branch during a growing season. Imagine that…three feet of growth in less than four months of growing time! 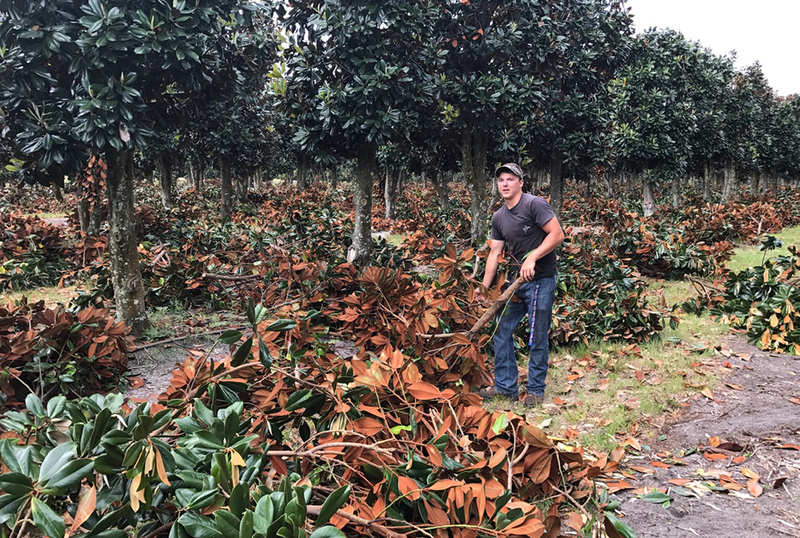 Matt Roth, President, The Magnolia Company.